After a brief reprieve from a bad summer, the California Public Employees Retirement System has been handed another massive setback. 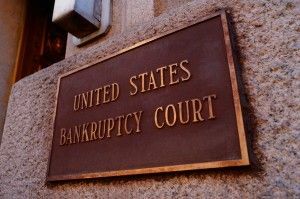 In a provisional but uncompromising ruling, U.S. Bankruptcy Judge Christopher Klein held bankrutpcy law does not permit CalPERS to protect its workers’ pensions even when municipal coffers run dry. Klein, reported Bloomberg Businessweek, called the unique law a “golden handcuff” that “is simply invalid in [the] face of the U.S. Constitution.” But his ruling was verbal, not written, and its practical impact will hinge on whether Stockton proposes — and the judge accepts at the end of the month — a restructuring plan that does not slash public pensions. On the other hand, even Klein’s incomplete decision made for a landmark ruling in California, with important implications nationwide. As the Sacramento Bee observed, Wall Street analysts hailed the ruling, which rebuffed CalPERS claims that Detroit’s municipal bankruptcy proceeding should not have been considered a precedent because Michigan lacks the Golden State’s additional pro-pension legislation. Moody’s Investors Service, reported the Bee, called Klein’s holding “a positive sign for investors that pension obligations will not be given preferential treatment over debt” in a city’s financial restructuring. The financial and investment industry has watched Stockton’s case carefully. What happens there could not only affect future city bankruptcies in California, but influence the scope of legal remedies against public employee unions across the country. Where pension funds have been protected, the pressure on creditors, taxpayers and shareholders has increased substantially. At the same time as CalPERS has struggled to advance its claims in court, its public image has taken another slam on an unrelated matter. After being hit with over $10,000 in fines for years of filing and disclosure violations, CalPERS board member Priya Mathur recently incurred the wrath of the California Fair Political Practices Commission. That body is poised to slap Mathur with another $4,000 in fines, quadruple the originally agreed-to amount. CalPERS had already stripped Mathur of her chair on the health committee and suspended her travel privileges. 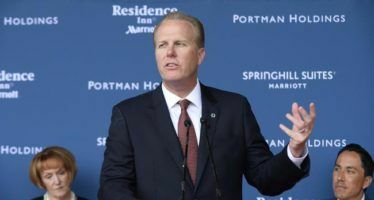 But, as the Los Angeles Times reported, members of the agencies making up the CalPERS system voted last week to return Mathur to a fourth four-year term in office. What’s more, in August an irate Gov. Jerry Brown ordered state Controller John Chiang’s office to investigate what his administration could do to “protect the integrity” of a law meant to prevent pension spiking. In September, Chiang revealed California lacks the resources to oversee and crack down the spiking, which involves deliberately boosting work that counts toward union members’ retirement packages. The practice increases costs to CalPERS and reduces its fiscal solvency. Wake me up when the fat lady finishes her song. Until that time, this is all noize. We know this case will run the gamet through the rubber chicken legal circuit. 2-3 more years of tedious legaleze. The trough feeders at CalTurds certainly aren’t going to roll over and let Klein have his way. 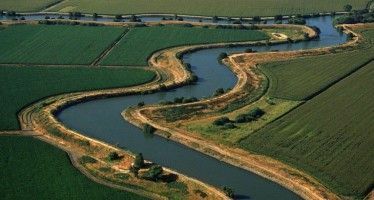 And we know the higher this case moves up the legal food chain in California the more the rulings will favor the public sector pensioniers. In fact, name one ruling from the higher appellate courts in California that ever hurt the pensioniers and stuck. You can’t. I respect Judge Klein for his courage to stir up the pot. But he’s in a dog fight with the entire dirty system. Look, if the high court can rule that the ObamaCare mandate was a tax – and therefore was constitutional or that US Constitution allows for the elimination of due process for a certain class of US citizen – what gives you the notion the black robed lawyers will toss the CalPERS trough feeders down the rabbit hole? lol. The letter of the law is not as important as the interpretation of it’s intent. When you’re high enough in the food chain you can massage it to mean anything you want it to mean and then order the peasants to obey it. Power settles everything. You don’t even like Roberts holdings? So in pother words– if you disagree with someone THEY are wrong? LOL what a world view— your life must be a shambles. in bk judges do not and cant say who to pay and cut just approve a plan…. nothing happened today–film at 11! But PLEASE done on trolls! Geesh…..another tome…..no light in the creepy Byzantine tunnel. Ugh! Collapso likes the RURG genre. Would it be a great opinion if it was different? It’s difficult to answer your question because it is a hypothetical. Ever since the very first case decided by our Supreme Court, Marbury v. Madison, courts are discouraged from answering hypothetical questions. So– in that spirit and with a profound love of not only Art 3, but the whole USC, I have to decline to answer that question. Please check the citation for Marbury v. Madison, 5 U.S. 137 (1803)….yes the FIRST case of the SCOTUS started in the fifth volume at page 137, makes PERFECT sense to me …LOL. I’m not posting again until they ban you. Or ban you from opining about the SCOTUS. The pensions will be worth saving …… after the collapse, right? Cutting pensions for aged seniors sounds doomer-est…. Someday you may get your dumpster pass from your employer. I am not asking a court. I am asking you, Mr. Ted. Would you he singing the praises of the opinion, if it supported the Calpers position? Thank-you for answering the question in the previous sentence. You are welcome igacy– I hope that answered the question? 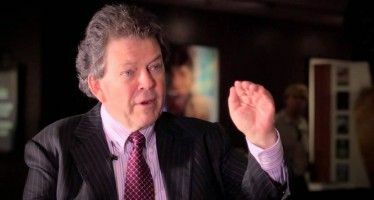 Art Laffer discusses bipartisan tax reform with lower rates and a flatter base.